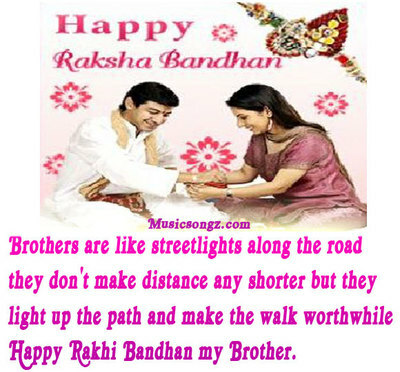 happy Rakshabandhan to all Indian members. I am going to meet my sister tomorrow i the morning.she will be waiting for me. The traditional Hindu festival 'Raksha Bandhan' (knot of protection) was came into origin about 6000 years back when Aryans created first civilization - The Indus Valley Civilization. With many languages and cultures, the traditional method to Rakhi festival celebration differs from place to place across India. Following are some historical evidences of Raksha Bandhan celebration from the Indian history. The demon king Mahabali was a great devotee of lord Vishnu. Because of his immense devotion, Vishnu has taken the task of protecting bali's Kingdom leaving his normal place in Vikundam. Goddess lakshmi - the wife of lord Vishnu - has became sad because of this as she wanted lord Vishnu along with her. So she went to Bali and discussed as a Brahmin woman and taken refuge in his palace. On Shravana purnima, she tied Rakhi on King Bali's wrist. Goddess Lakshmi revealed who she is and why she is there. The king was touched by Her and Lord Vishnu's good will and affection towards him and his family, Bali requested Lord Vishnu to accompany her to vaikuntam. Due to this festival is also called Baleva as Bali Raja's devotion to the Lord vishnu. It is said that since that day it has become a tradition to invite sisters on sravan pournima to tie sacred thread of Rakhi or Raksha bandan.